Heaps of good shots there. What a wonderful adventure you had! Love the native costumes!! Wow that's a lovely collage, but i wish i can enlarge each photo. 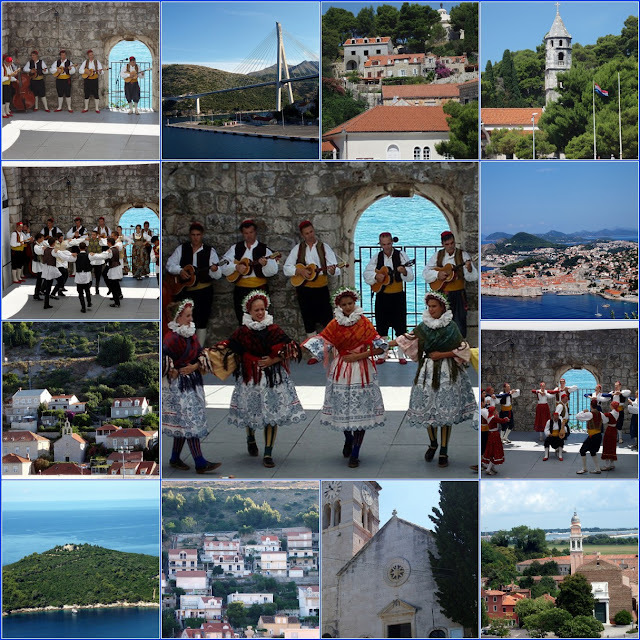 Croatia is a country which seems so far from my consciousness, it is not usual for me to see it in blogs. It is also a dream to visit these places. Once when i was in Strasbourg, my closest pal is from Croatia and we explore the place every afternoon after every session. Now i already lost contact, so whenever i see a post like yours i am so glad. Everything is so colorful and the faces are so happy! I know it was a great trip. I love the regional costumes and beautiful scenery. Croatia is indeed a beautiful country. Your anniversary trip was very special. Thanks for your visit. I appreciate your nice comment. Beautiful! I love Croatia and I would have loved to see the dancers!